How do you write data, and read data to an USB port?I assume it's through dllcalls..and how do you get a list of all connected USB devices, and obtain a handle to one of them, for reading&writing purposes? If you're referring to a pendrive or similiar device, it should show up as a drive like your hard drive or CD-Rom. Dont they show up in "My Computer" as a drive? They do for me. A flash drive is a similiar device... treat it like a hard drive. Why would you want to write raw bytes anyway? It's not a normal USB device, LIKE a flash-drive (notice how I used the word "like"), and it is not seen as such.. I was thinking that there must be some way of accomplishing this, as I've seen a library for reading/writing data to a serial port..I figured if someone might want to give me a few pointers on where to look and what to look for, I could try and do it myself if time is the issue..
EDIT: It's a bluetooth usb device used to connect to other bluetooth enabled devices..I just didn't think it was relevant..But maybe it helps you understand what I want..
Can we have the name of this device? What exactly is the device ? You can figure out the name just by looking at it..And I'll give you a few hints..It's BLUE, and it has "Bluetooth" written on it .. Does it really matter what its name is?The question was directed at a generic USB port..You'd still most probably have to write (through the use of device-specific dll's) to the usb port it's connected to anyway..
Well, We cant know what to do, if we dont know what it is? Give us the name of the device, and we can do a search on it to see what it is, So then WE know. You can figure out the name just by looking at it..
We arent looking at it. I know zilch about bluetooth other than hackers love to hack it... are you trying to hack a bluetooth device? No..I'm trying to rewrite badly-written software for it.. But my point still stands..I don't think you can accomplish writing/reading from the device through DllCall's..So if you want to do things the low-level way, you'd open the USB port and start reading/writing from it..REGARDLESS of what the device is.. I tried to be as little sarcastic/ironic as I can be..Read my above post.. Hmm....Possibly..Bluetooth Soleil IVT is the only brand I can make out in the manual..
EDIT: Yep..it looks alot like mine..
Not sure but maybe this could be of some use to you. Sounds like a real chameleon! 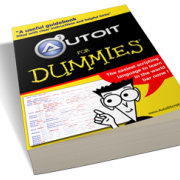 AutoIT supports FTP and there are many scripts and scraps on how to access a serial port. You will find that the Bluetooth low level drivers will emulate known devices and your script should be able to use these. Can you share a little more detail about what you are trying to do? I would like to introduce another issue, but related: what about access to USB read/write for Serial Port Devices? I developed a PIC circuit that sends/receives seria port data, and now I intend to change it to work with USB, but emulating a serial port. I'm using AU3 up tp now read/write serial port on the PC (using some clues from this site), and now would like to change it to USB. ANy help? I heard about Virtual Com ports, do youbelieve that NetCommOCX would work?